Hello Darlings,I would like to extend an invitation to all of you to join me for after-work cocktails at the exclusive Thompson Hotel Rooftop Lounge on June 12th at 6pm and onward. With the best view of the city, come and enjoy the beautiful weather and fun company! 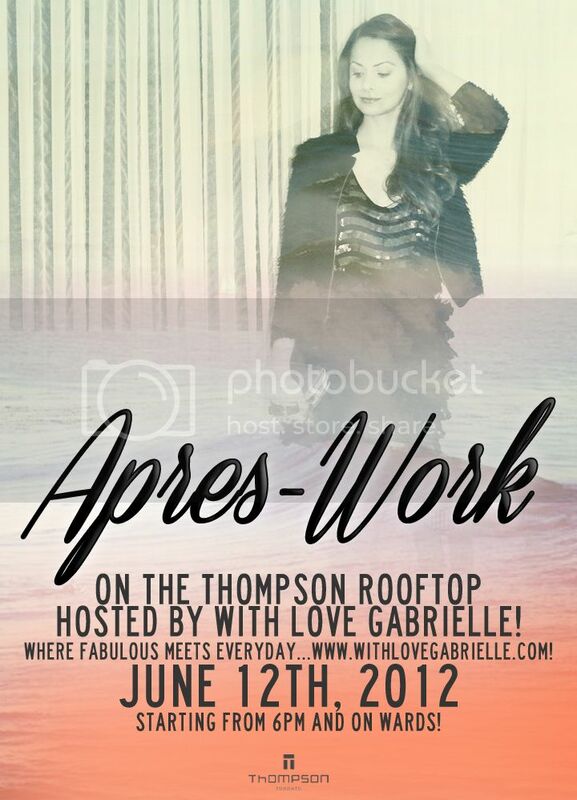 Thompson Hotel's rooftop lounge is one of my favorite venues for summer, and I look forward to meeting and hanging out with many of you! Please invite your friends and of course, there is no cover! Please note this is a 19+ venue, and the capacity is limited so the guest list is on a first-come first-served basis.